This week we're going to take a look at a creative and fun way to use your stamps to create depth — One-Layer Masking. Stamp masking creates magical results, but it's definitely a technique that takes a few tricks of the trade to accomplish. Today's video will give you fantastic step by step instructions to master the masking technique! 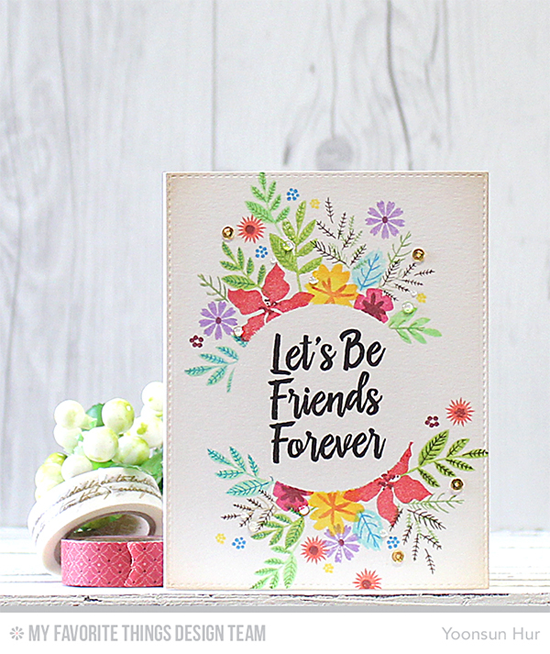 Stephanie showcases a really fun and cute card by Francine using the Prehistoric Fun and Sweet Succulents stamp sets. Watch the video below or click HERE to watch it on YouTube. So awesome, Stephanie! It's obvious that having the right supplies like Stamping Mask Paper is key to creating a successfully masked design. Let's take a look at a few examples of other projects that incorporate the stamp masking technique. 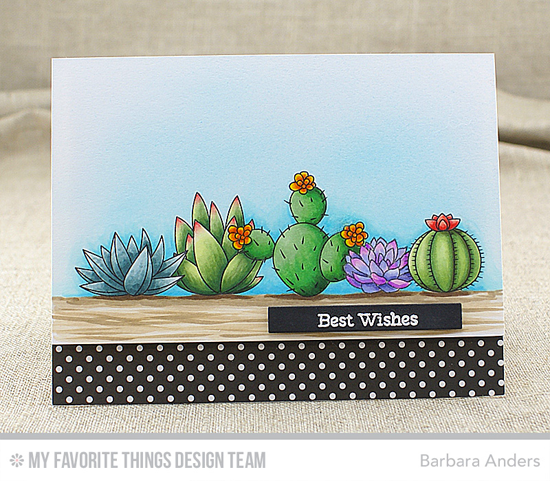 Barbara whipped up this gorgeously masked design using the Sweet Succulents stamp set. She started with X-Press It Blending Card, stamped the images masking them with Stamping Mask Paper, and then airbrushed the background before removing the masks. What an AWESOME effect! 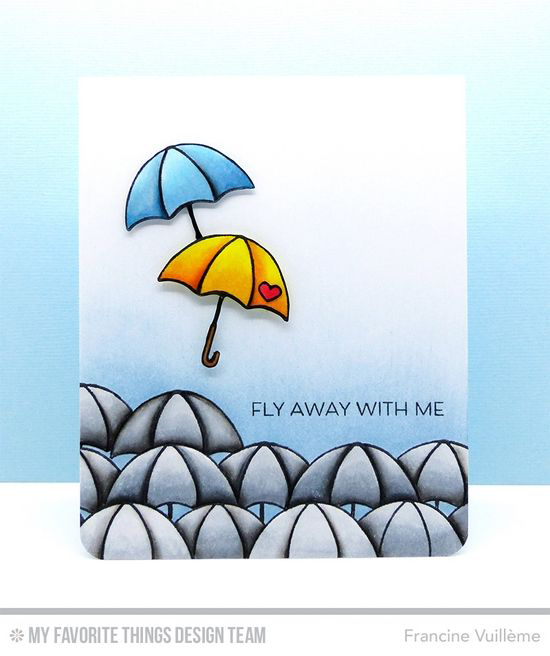 Francine created this lovely design by masking the umbrella from the All Heart stamp set at the bottom of her card for a melancholy base to offset the happy couple of umbrella's flying away. What an out of the box approach! It's amazing what you can create with just a few simple stamps. Yoonsun's masking approach is slightly different, but the result is divine. She die cut a circle from Stamping Mask Paper and adhered it to her watercolor panel. She then stamped the flowers from the Mini Modern Blooms stamp set around the circle. Once her stamping was complete, she removed the mask and stamped her sentiment in the circle. Simply lovely! Now it's your turn to create using the stamp masking technique! Be sure to tag #mftstamps when you post your projects online. We can't wait to see what you've made! these are great. i don't do very well with masking so good to see a refresher. thanks. 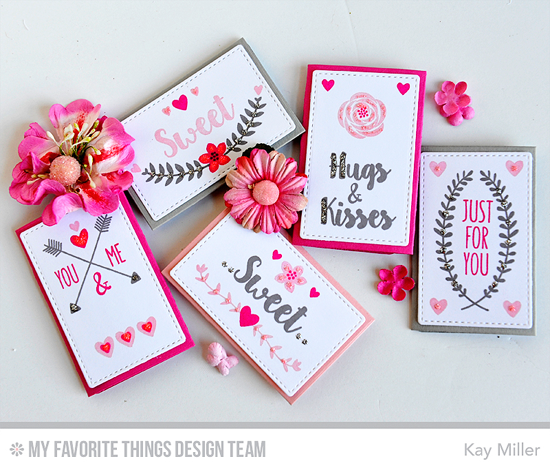 Gorgeous cards, love the tutorial. Oh how I love masking! I can't do it for crap, but I sure enjoy videos like these! Thanks to all the DT for the beautiful examples!